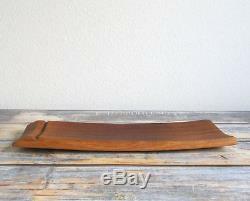 Serving Tray Food Cheese Charcuterie Appetizer Board Platter Wine Barrel Stave. 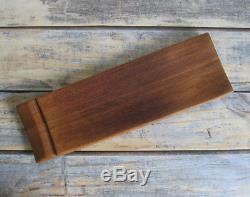 Made from reclaimed wine barrel staves from Napa Valley wineries. They make the perfect serving tray for meats, cheeses and fruits. Can be personalized ASK FOR DETAILS!! for a unique engagement or house warming gift for couples, Easy to care for, wipes clean with a damp cloth. Made from recycled French oak barrels using biscuit joinery. Each piece is hand sanded on all sides to showcase the original oak grain and any remaining wine patina from the barrel fermentation. The wood is finished with a 100% food-safe finish of beeswax, mineral, orange and walnut oils. Expect slight slight variations in measurements and wood grain and wine patina due to the process and the natural variations in the oak. Alas, wine and food not included. You'll have to supply that yourself. Hand wash only using a damp cloth. Use a food grade wax/oil to keep your oak barrel serving plate looking like new. 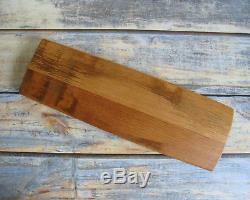 Measures approximately - 17" long x 5 1/4" at widest point x 1 high. Since computer monitors vary in color, the actual color of the item may slightly differ from what's shown on your computer screen. We are a clearinghouse of manufacturers, major retailers and suppliers. If you like what you see, please visit Our Shop. 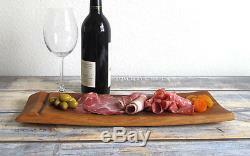 The item "Serving Tray Food Cheese Charcuterie Appetizer Board Platter Wine Barrel Stave" is in sale since Tuesday, October 17, 2017. This item is in the category "Home & Garden\Kitchen, Dining & Bar\Dinnerware & Serving Dishes\Trays". The seller is "elias_deals" and is located in Phoenix, Arizona.